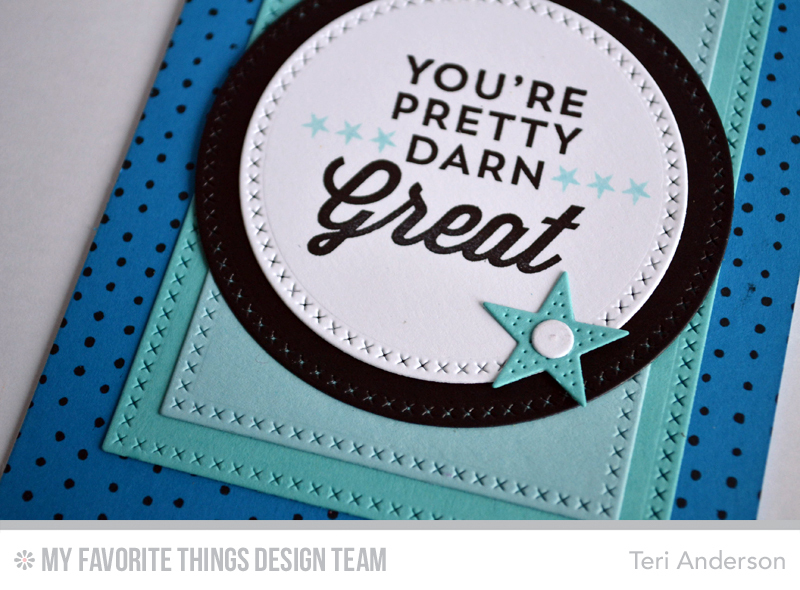 My buddies over at My Favorite Things have been having an inspiration celebration of sorts over their blog. The Creative Team is getting in on the party today by sharing a whole bunch of projects that were inspired by famous pieces of art. And I’m joining the fun too by sharing a little something that inspired me. Got an idea what it inspired it? Yep. 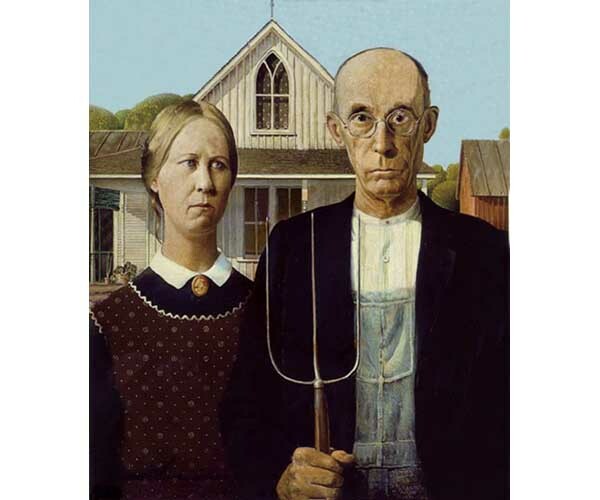 It was inspired by American Gothic by Grant Wood. I always loved this piece of art. By the way, I thought it would be fun to just play on the whole farmhouse behind them concept so I hung the birdhouse. Must admit that it sure made me giggle as this card came together. So that’s what I have today. I hope it makes you chuckle too. 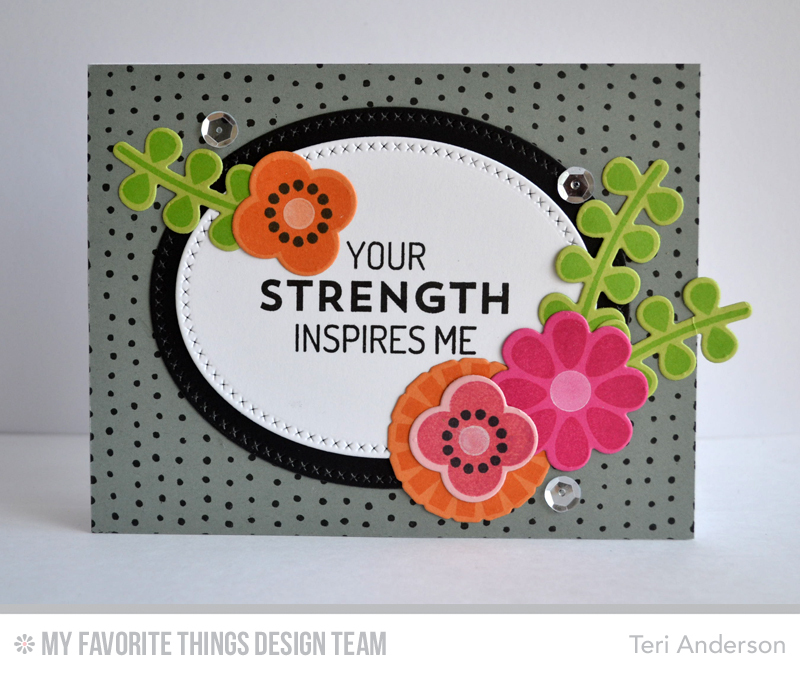 Be sure to hit the MFT Blog to see who else is art sharing inspired projects today! I’m joining up with my My Favorite Things Design Team friends for another challenge involving the Blueprints Die-namics today. This time, we are incorporating flowers into our projects made with the Blueprints Die-namics. So let me show you what I made. Please meet today’s card. I made the “guts” of this card (how is that for being descriptive?) with the Blueprints 19 Die-namics. The frame, label and the larger flowers (and buttons and green “leaves”) were all cut with them. I cut those smaller flowers with the Fresh Cut Flowers Die-namics. I’m a big fan of things that cross over and work together and they just work (style-wise) with the Blueprints 19 Die-namics. That made me happy. 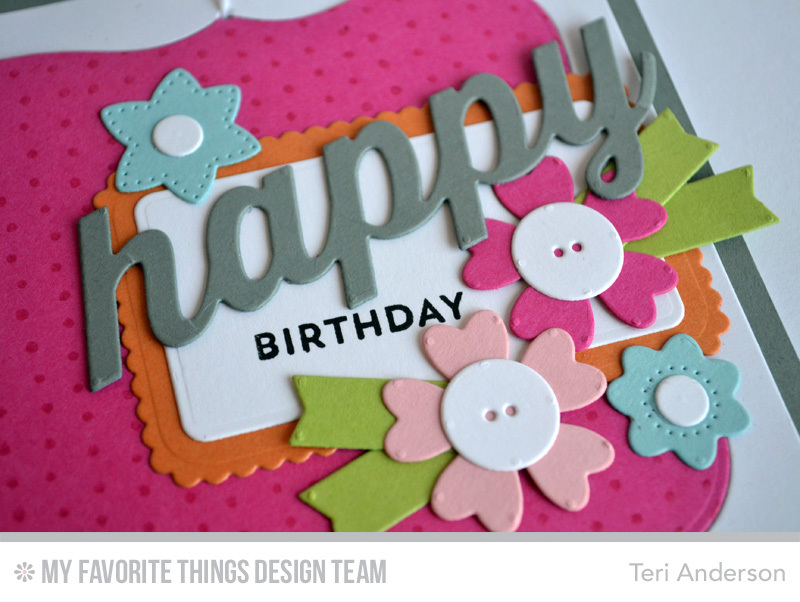 I die-cut the happy word and then I stamped the “birthday” word. The stamped word was part of a larger stamp from the Terrific Ties stamp set. I set a piece of tape over all the words I didn’t want to ink up. I inked up the stamp, removed the tape and (yay) just got ink on the Birthday word. It’s a fun way to mask! So that’s what I have for you today. Hope you liked the card! 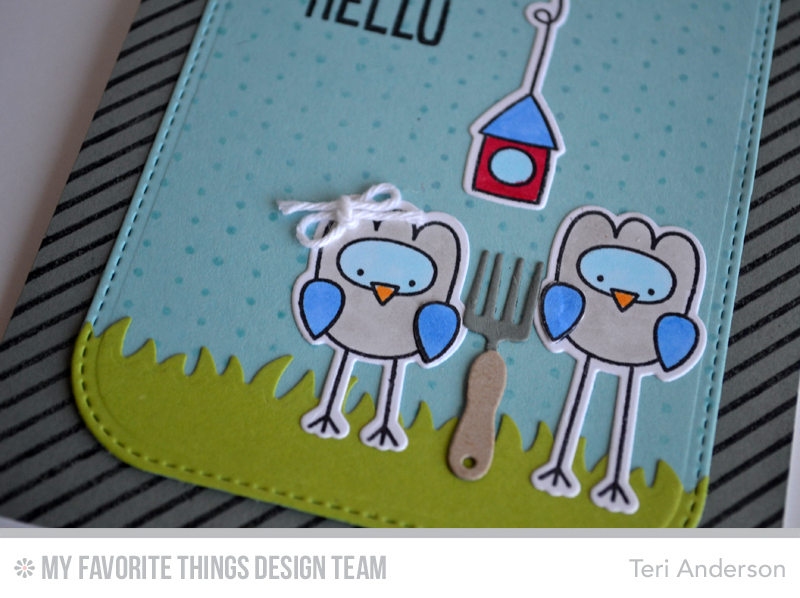 Be sure to stop by the MFT Blog to see who else from the design team is sharing projects today. Just a card to share today. Made this one a week or two ago, just for the fun of having fun. Never got around to sharing it. 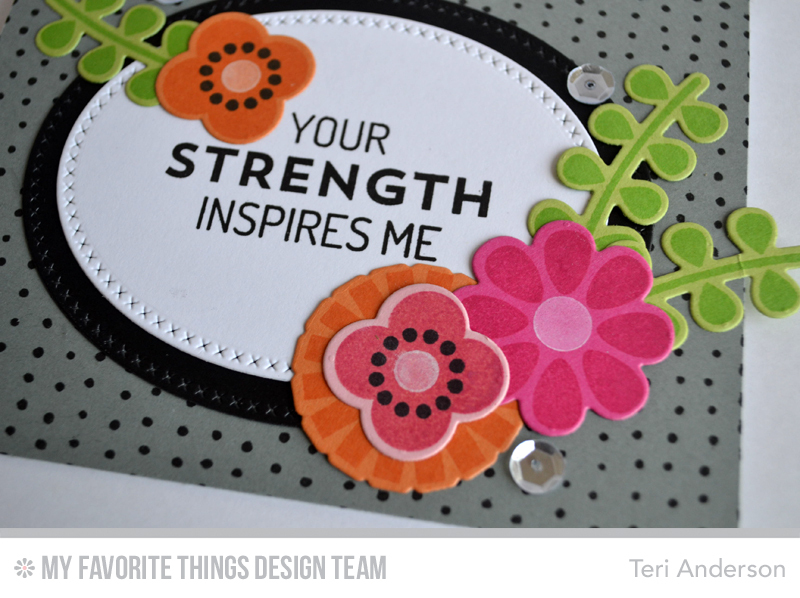 The flowers and words are all from the Essentials from Ellen collection of dies and stamps available over on Ellen Hutson’s site. I die-cut the flowers (from the Bold Blossom dies) from watercolor paper and then colored them with watercolors. Made for a fun look! The mat? Those were cut with the Bold Blooms Matching dies. 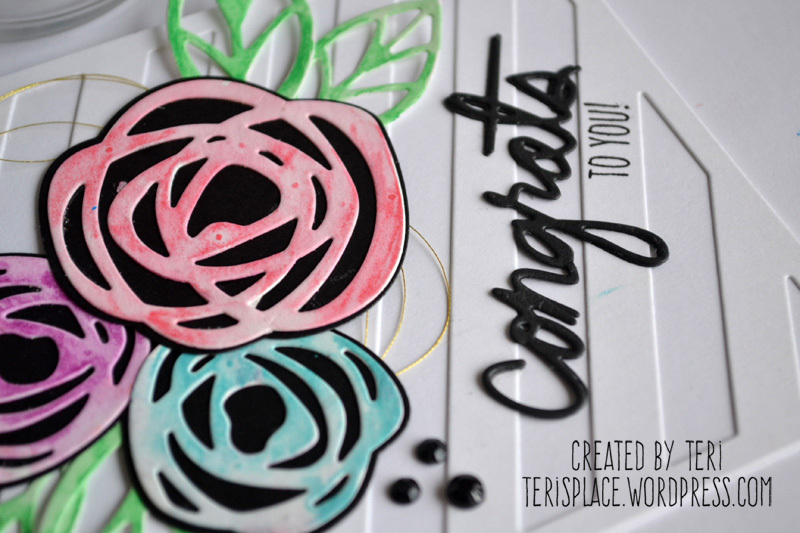 The sentiment is a mixture of die-cutting (congrats from the Zipper Panel dies) and stamping (to you from Wish You stamp set). Of course, I took the opportunity to add a little gold threat to the card. I think the messy string thing is getting a little old, but I think some designs just call for it. It just helps balance things out. So that’s what I have. I’ll be back again later, gators. Thanks, as always, for stopping by. I’m excited to share with you a couple more projects I made with the new stuff. 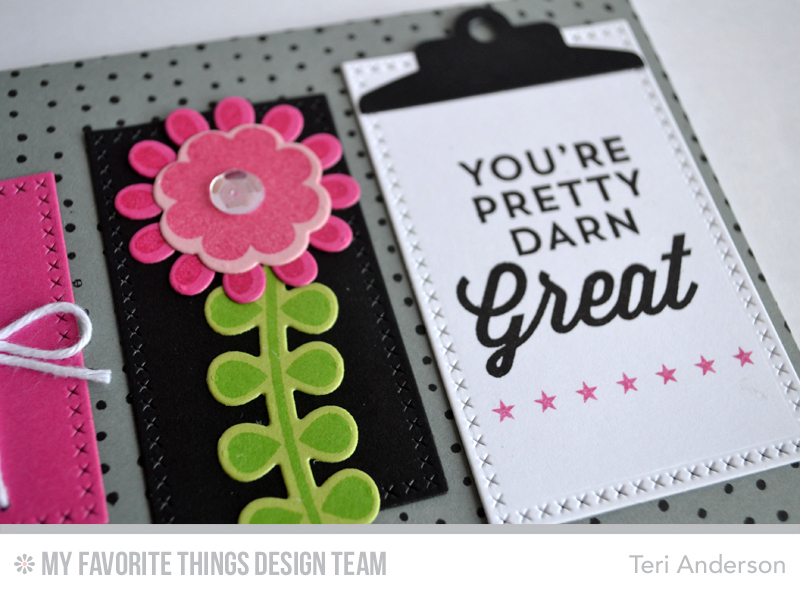 Each of these projects I’m sharing today uses the new Cross-Stitch Circle STAX Die-namics. Alright! So for this card, I cut several circles from orange and pink cardstocks with the Cross-Stitch Circle STAX Die-namics and kind of off-set them as I adhered them to my card. Then I cut three more small circles from white cardstock and layered them onto the big old stack of circles. Thought it was pretty cool that the small star from the Pierced Star STAX Die-namics fit perfectly on the small circle from the Cross-Stitch Circle STAX Die-namics. I once again stacked up circles cut with the Cross-Stitch Circle STAX Die-namics. I went for a more uniform look this time, other than using a lot of different colors. In the middle of each stack of circles, I stamped some stars from the new For The Boys stamp set. Don’t let the name of stamp set deceive you. There’s lots of great phrases in the set that are non-gender specific. I feel like this set is an all-around good one for any card maker to have in their creative arsenal. OK! So that’s what I have for you today. Hope you like these cards. 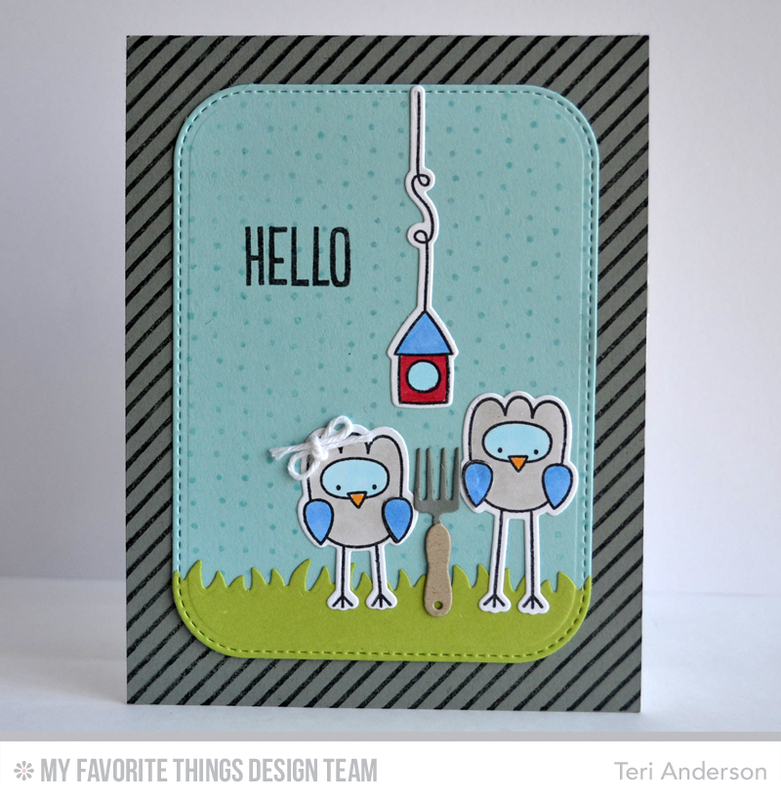 Be sure to hit the MFT Blog to see who else from the design team is sharing projects today! And guess what? I’ve got a couple more cards to share with you today that I made with some of the new stuff. 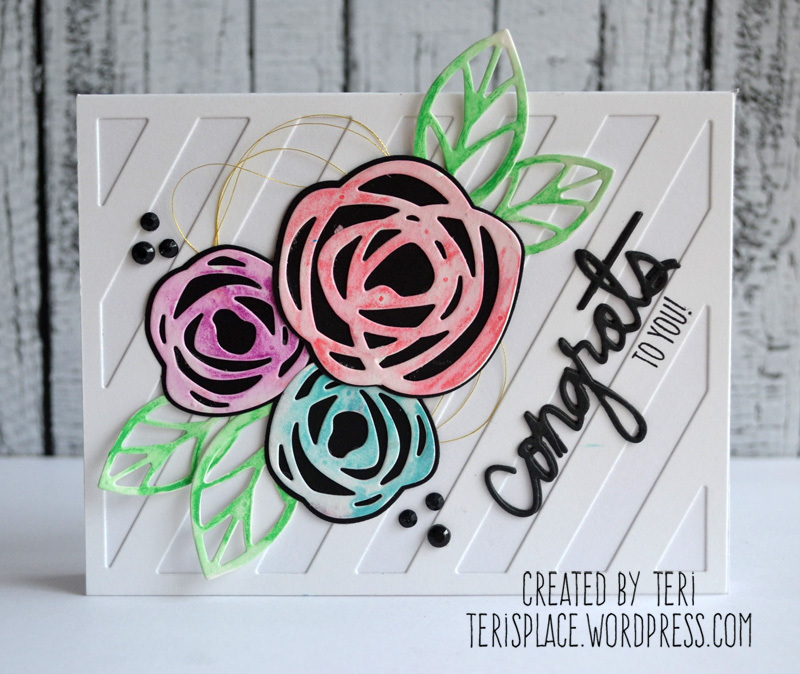 I created that flower with the new Build-able Blooms stamp set and coordinating Build-able Blooms Die-namics. Now, the cool thing about the stamp set is you can die-cut a flower and then add a few stamps to it and you’ve got a really cool flower. That sentiment is not from a girlie stamp set. No, sir! It’s actually from the For the Boys stamp set. I love the set because it’s got some great phrases are just plain great to use for all types of cards. I used some of the same supplies to make this guy. Once again, I had to be different. Just had to! 😉 I added a second flower on top of the orange one. And while I’m sure those leaves make pretty awesome stems, I think they make pretty cool leafy elements too! By the way, I stamped the background of this guy with the Myriad Dots Background stamp. I am pretty sure I used that bad boy on the bulk of the projects I’ve shared from this release so far. It’s just such a fun stamp. Love circles. Love dots. Kind of a match made in a little place I like to call Teri’s Craft Supply Heaven. Thanks for stopping by, guys! Always a pleasure when you do. I’ve got a couple more cards to share with you today that I made with some of the new stuff. One of the things I’m really digging from the May release is a whole series of Cross-Stitch STAX Die-namics that MFT has dreamed up. There’s circles, ovals, squares and rectangles. For this card, I combined together some shapes I cut with the Cross-Stitch Circle STAX and Cross-Stitch Rectangle STAX Die-namics. One of the things I think is so great about the STAX Die-namics is you can cut a shape and then just grab the next bigger one and you’ve got a mat. It really makes putting cards together easy. The words on this guy are from the new For the Boys stamp set. I stamped the words and then grabbed the small stars and stamped them with a blue ink. I think that two-toned look makes things a little more interesting. Awww! Flamingoes! Yes, I went crazy when I saw the new Flamingos Die-namics. See I have this thing for ‘mingos. Yes, I’m a crazy flamingo lady. I have kept plastic flamingos in my yard for several years now. It actually started because I had some “stuffy” neighbors. 😉 My desire was to lighten things up and add a little something tacky for them to be stuff about. Well, funny thing is they loved it. I’ve had them ever since. 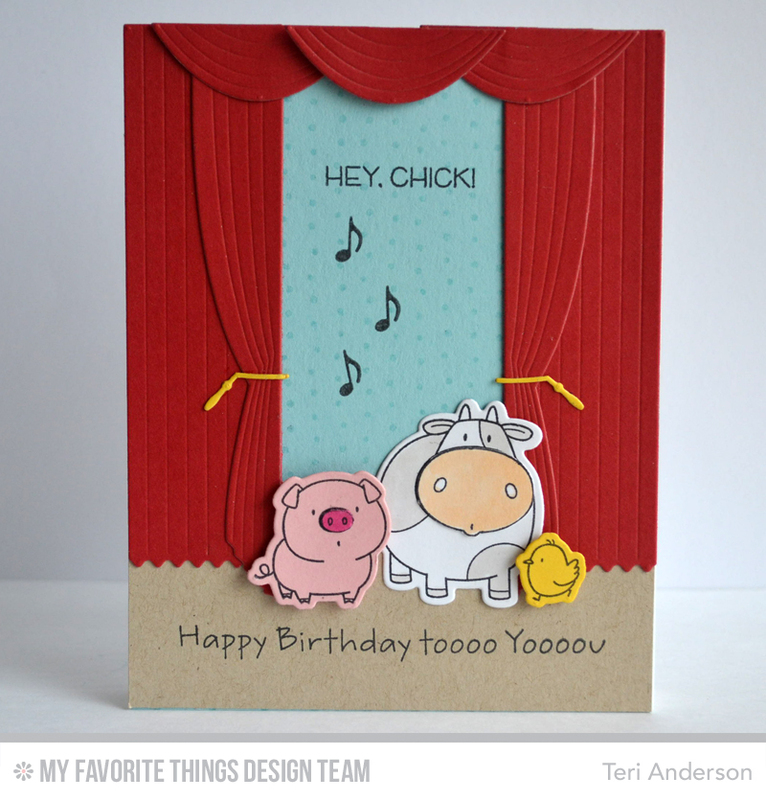 Going back to the card, I wanted to just create a cute little scene with them so I added some grass and a few stars. And the words? 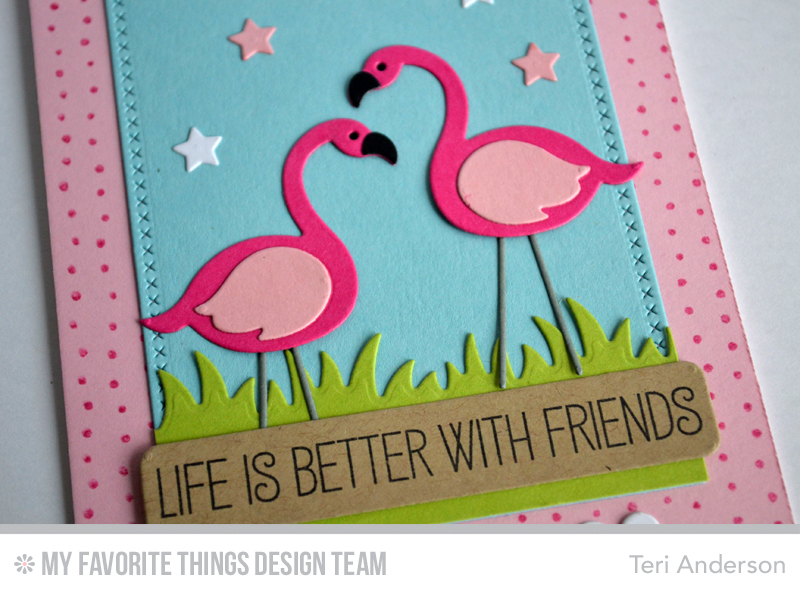 They are from the new Tickled Pink stamp set, which has all kinds of great phrases to use with the flamingos (and without). And do you want to see some more projects made with the new stuff? 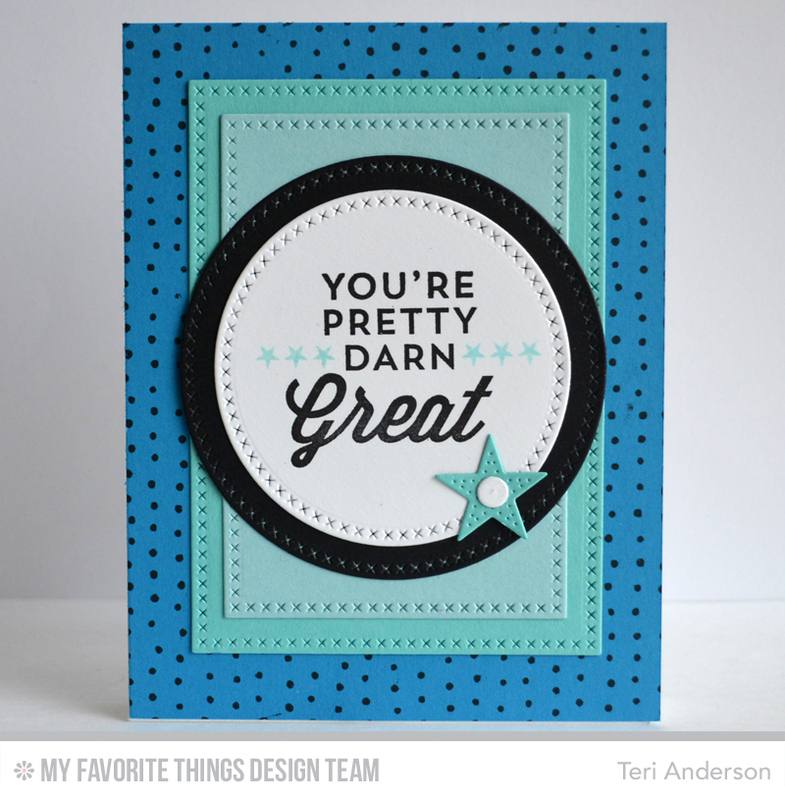 Swing on by the MFT Blog to see who else from the design team is sharing today. Just a few more days until the May release from My Favorite Things. HOORAY! And I’ve got a couple more projects to share with you today that I made with the new stuff. On your mark. Get set. GO! I was in the mood to the create another little scene so that I was I did. I used the new Take the Scene Die-namics to create the curtains and then pulled out favorite new friends from the new The Whole Heart stamp. I did some relatively minor coloring to the cow and then then cut a second snout for the pig from a dark pink cardstock. To give the scene a little dimension, I used foam adhesive to adhere the chick and pig, as well as some the curtain panels. I think it just helped from making things seem so flat. And this is card #2. I once again used the Take the Stage Die-namics to cut the curtain elements. I did frame things with the Stitched Rectangle Frames Die-namics. 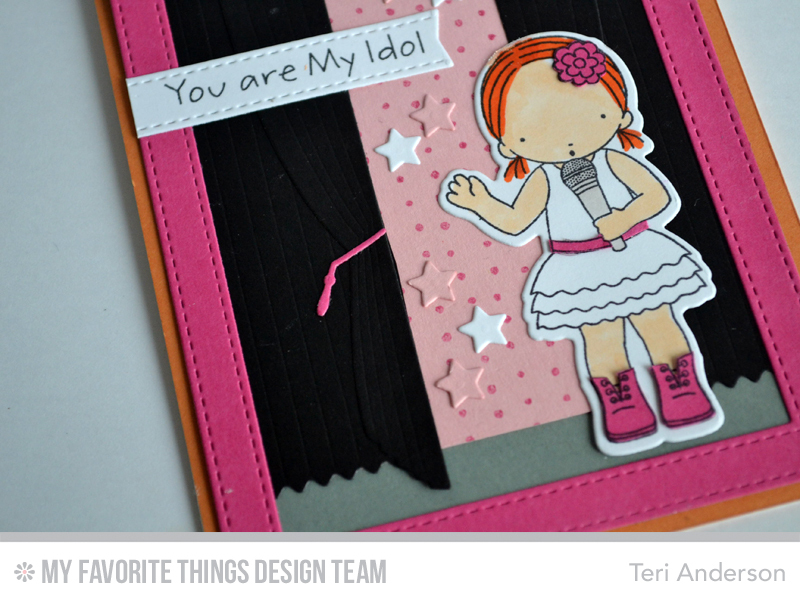 The girl is from the Perfect Harmony stamp set (and coordinating Perfect Harmony Die-namics). So that’s what I have for you today! 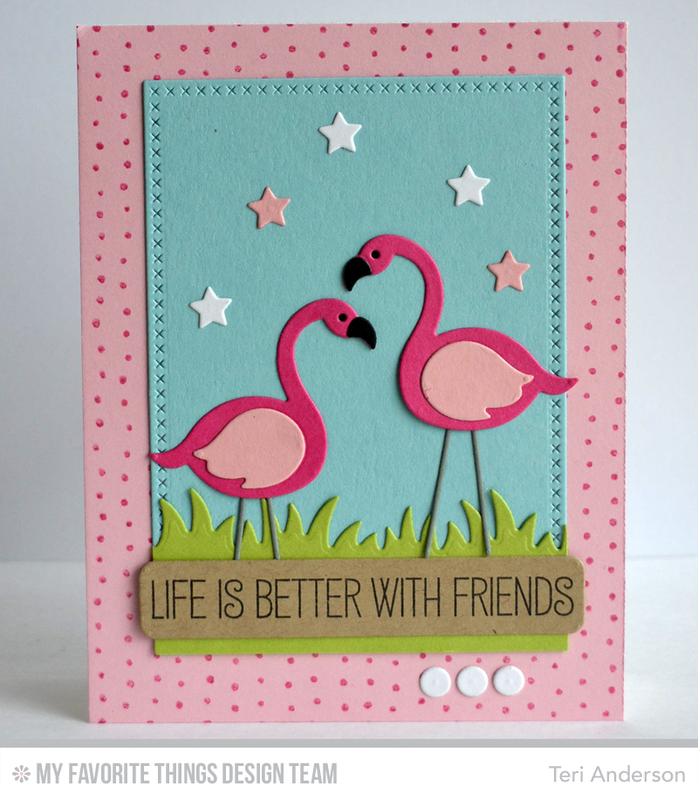 Be sure to check out the MFT Stamps blog to see who else is sharing projects today.